Like an investigative journalist on a mission, best-selling author and teacher John MacArthur walks through the gospel records and shows you a remarkable and compelling picture of the Jesus you can’t ignore. In this classic episode of The Mike Corley Program, Mike shares an interview between Grace to You Executive Director Phil Johnson and author of the book John MacArthur. Get a copy of the book at Grace to You. This entry was posted in Books, John MacArthur, The Mike Corley Program on 19 April 2013 by Michael Corley. Imagine if the Apostle Paul were alive to defend the truth of Jesus’s resurrection-only to be countered by none other than the prophet Muhammad himself. In an interview from February 2006, Mike visits with Michael R. Licona, author of the book Paul Meets Muhammad: A Christian-Muslim Debate on the Resurrection as he describes an invention that can make historical figures appear alive and present. Imagining an audience of both Christians and Muslims, Licona crafts a lively debate between Paul and Muhammad, each speaking on and analyzing the validity of the Qur’an, the gospel accounts, and both Christian and Muslim doctrine. This entry was posted in Books, Islam, Michael Licona, Resurrection of Christ, The Mike Corley Program on 7 April 2013 by Michael Corley. 2006 was a good year for the MCP as Mike had the honor and blessing of interviewing Dr. Mark Dever, senior pastor of Capitol Hill Baptist Church in Washington D.C., and author of the great book “Nine Marks of a Healthy Church“. This entry was posted in Books, Mark Dever, The Mike Corley Program on 6 October 2012 by Michael Corley. Cant We all Just be Nice? Mike examines the misdefining of what it means to be nice, including clips of a Phil Johnson interview with John MacArthur on his book “The Jesus You Can’t Ignore”. This entry was posted in Apologetics, Books, John MacArthur on 14 November 2009 by mcp. This entry was posted in Apostasy, Audio, Books, Current Events, Joel Osteen, Word of Faith on 7 November 2009 by mcp. While he is away, Mike offers this repeat broadcast of an interview with Dr. Mark Dever on the subject of a book he co-authored with Paul Alexander entitled The Deliberate Church-Building Your Ministry on the Gospel. Dr. Dever explains how this book provides a model of a biblical church and how it is a highly practical resource that proposes an attitude of complete reliance on and submission to the Gospel in building a healthy church. This entry was posted in Apologetics, Books, Mark Dever on 12 September 2008 by mcp. How do we know whether we love any person here upon the earth? In what way and manner does love show itself between people in this world…? 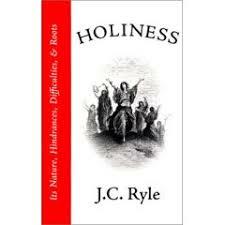 These are the words of J.C. Ryle from his classic book Holiness. On this program, Mike examines how our affections for the Lord are expressed, or should be exopress, as true believers in Christ. This entry was posted in Apologetics, Books, Classic Preaching, Theology on 30 July 2008 by mcp. 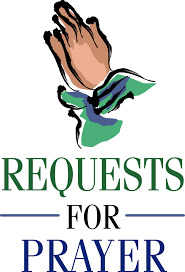 On this program, Mike shares several important prayer concerns; plus…a review of the book Jesus, Made in America…then….emails from listeners. This entry was posted in Books, Evangelicalism, Postmodernism, Prayer Needs on 22 July 2008 by mcp.